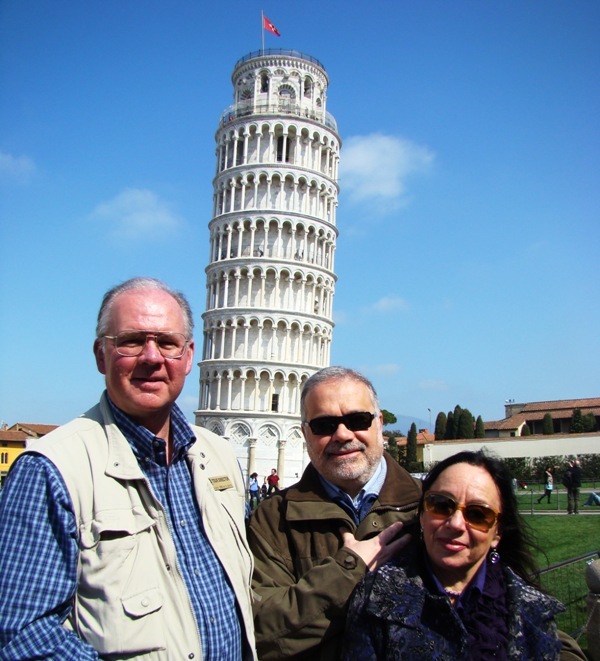 Today was a travel day, moving from southwest from Venice to Pisa. Yesterday afternoon I took several photos in Venice from the clock tower. Quite a view from there. 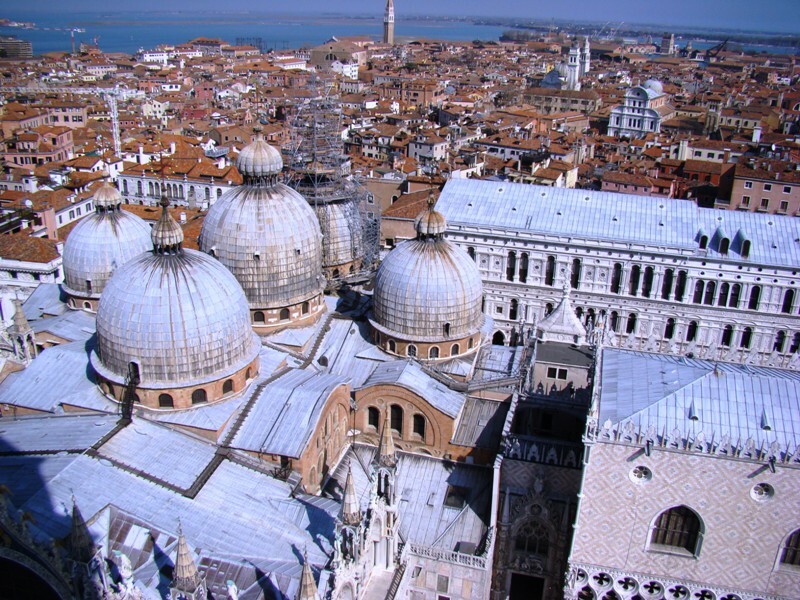 View of Venice from Clock Tower. Photo by Leon Mauldin. View is northeast. You can see St. Mark’s Basilica at lower left. Our destination today was Florence. En route there we stopped for lunch at Pisa. Leaning Tower of Pisa. Photo by Leon Mauldin. 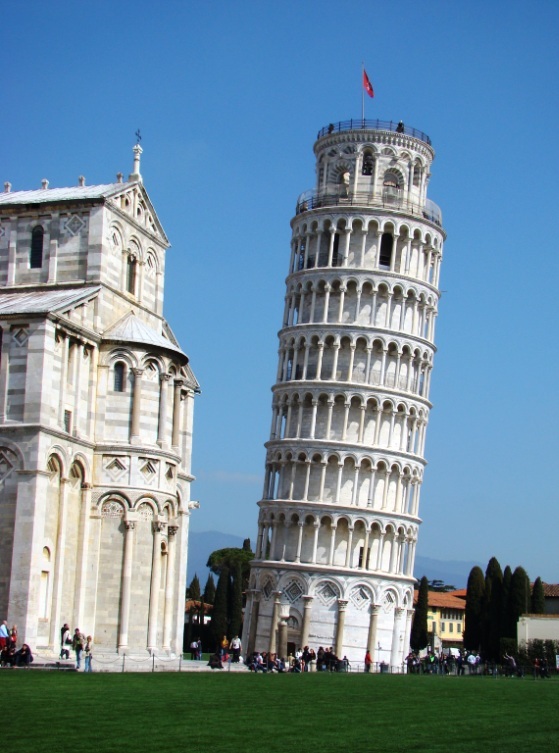 Of course if you mention Pisa the first thing that comes to mind is the Leaning Tower. It is described as a “freakishly beautiful building” [how’s that for an oxymoron?] “a sight whose impact no amount of prior knowledge can blunt” (Rough Guide, 544). In fact it is but one of many components of Pisa’s architectural ensemble. A treat for us was briefly meeting with Arrigo and Patrizia Corazza. Arrigo preaches for the church of Christ meeting about three miles distant from the tower. Among our group there were several that know and appreciate this couple. Thanks for following our blog. Remember to click on images for larger view. You are currently browsing the Leon's Message Board blog archives for the day Thursday, March 15th, 2012.